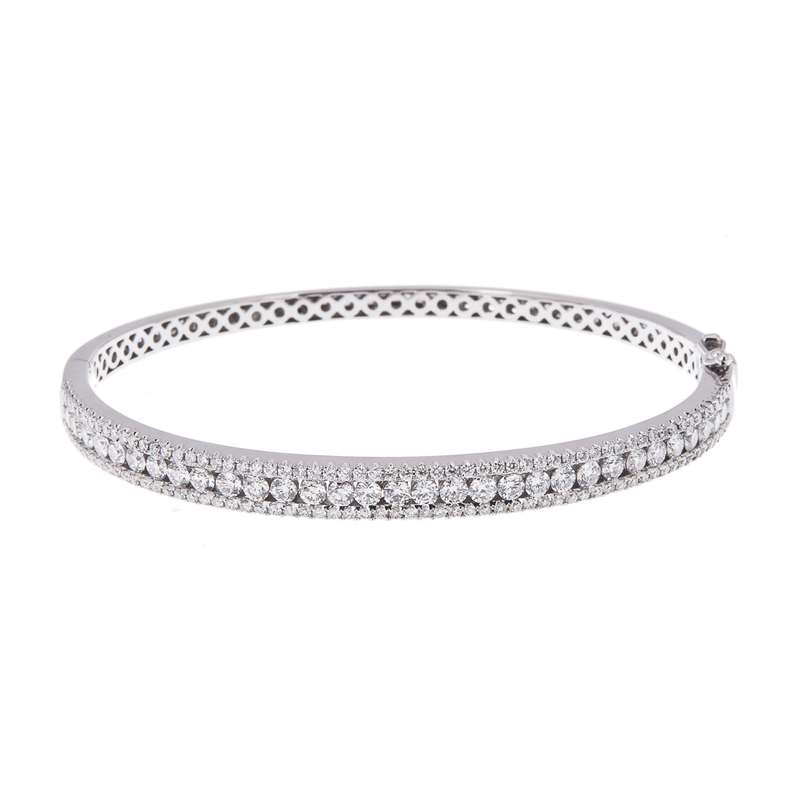 When you are getting ready for that night on the town or you just want to make your wrists feel special a diamond bangle from Hancocks Jewellers is just what you need. The diamond bangle can be dressed up for evening, with a stunning eighteen carat white gold diamond bangle. However, if you want to look classy yet casual the diamond bangle can achieve this as well. 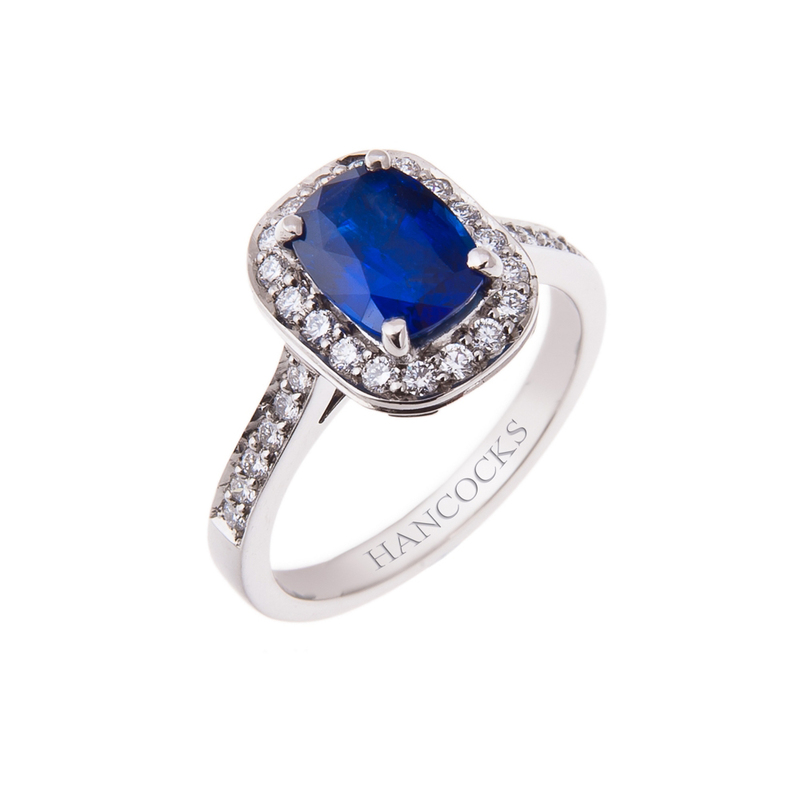 Hancocks Jewellers have been helping the discerning client look and feel positively enchanting for over a hundred years. The styles and quality that you will find within their walls will last a lifetime and beyond. The craftsmen at Hancocks Jewellers create masterpieces with the minutest detail attended to. The staff has been impeccably trained so that they may offer you the highest calibre of information. The white diamond bangles that you can choose from are so exquisite that you may have to at least one for each wrist. The choice between a diamond bangle and a diamond bracelet may be a difficult one for you to make. They offer a rather different appearance while retaining the beauty of the white diamond brilliance. A diamond bangle will offer a more modern look and feel; however, the bangle still looks very elegant. It will serve as a very nice accessory with any of the other diamond choices, such as a diamond pendant. You may feel that a diamond bracelet is a better preference when you are in formal attire, but that isn’t necessarily true. If you would like pure elegance for your formal evening out then we beg to you take a moment and look at the circlet of diamonds on the white gold diamond bangle. 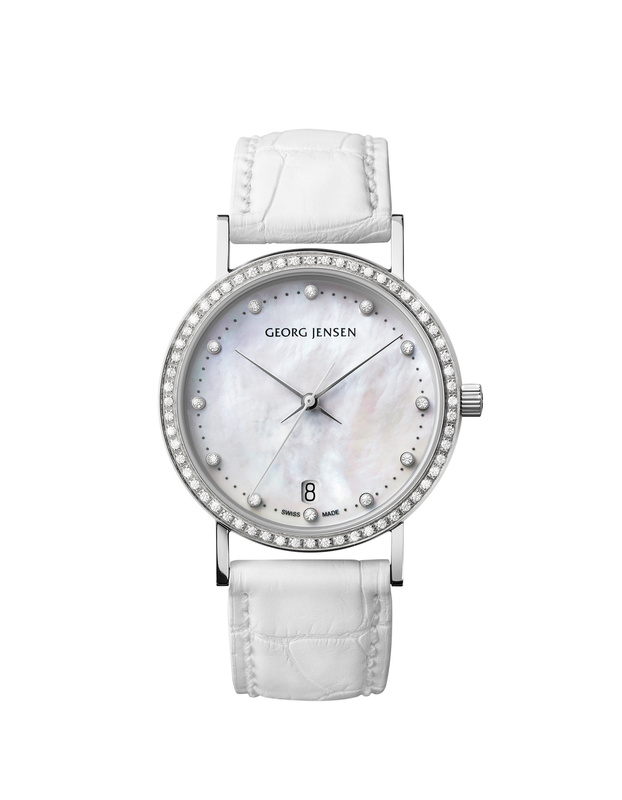 You will capture everyone’s attention when you arrive with this sparkling beauty on your wrist. The channel set diamonds are displayed in a perfectly encased eighteen carat white gold bangle. The beautiful offering definitely makes a statement for refinement and dignity. 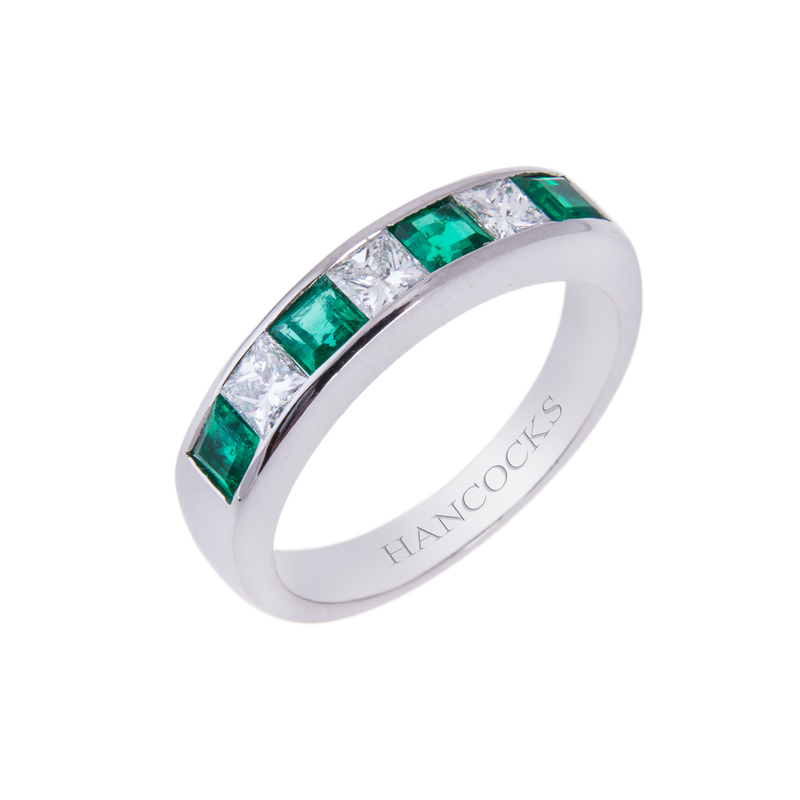 The gentleman may decide he does not want to be left out and he certainly will not be when you visit Hancocks Jewellers. The gentleman’s satin finish platinum bangle will catch his eye and those of everyone around him. The princess cut diamond finishes this magnificent bangle. If the man in your life prefers gold instead of platinum then he won’t be disappointed as Hancocks Jewellers can meet his demands as well. You can find a stunning eighteen carat white gold bangle with a princess cut diamond.